Can we make sense of the virtues in a world without God? Let’s consider the virtue of humility as a way of addressing this question. 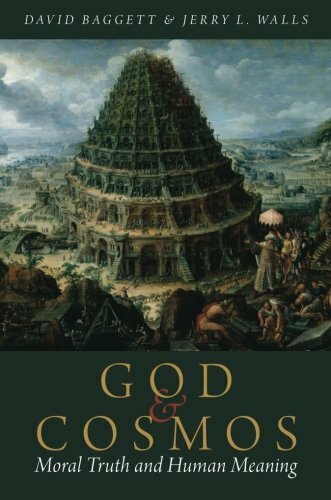 In his Value and Virtue in a Godless Universe, Erik Wielenberg develops a naturalized account of humility. [i] This account is worth considering given Wielenberg’s explicit aim of constructing a naturalized version of a virtue that is commonly thought to be uniquely Christian. Wielenberg constructs an account of humility grounded in the assumption that we know that naturalism is true. In order to do this, he first discusses a Christian account of humility. He then explores some of the similarities and differences of such an account with a naturalistic version of this virtue. After discussing these points, I offer several criticisms of Wielenberg’s view. On a Christian analysis, according to Wielenberg, the humble person neither underestimates nor overestimates her own value or abilities, but instead recognizes that these are gifts from God. She also acknowledges her dependence on God, and knows that much of what contributes to her flourishing is not within her control, but God’s. Hence, the humble theist is grateful for her flourishing in light of this dependence, and gives credit to God. On naturalism, however, Wielenberg claims that there is also room for an acknowledgment of dependence on something outside of ourselves, because so much of what contributes to our success—psychological constitution, physical health, family background, where and when we are born, and economic factors—is outside of our control. On naturalism, these factors are not under God’s control; they are under no one’s control. Given this, no one gets the credit. Sheer chance and good fortune should receive the majority of the credit. As Wielenberg puts it, “It is the dependence of human beings and their actions on factors beyond their control—dependence that is present whether God exists or not—that makes humility in some form an appropriate attitude to have.”[ii] In either kind of universe, naturalistic or theistic, “...taking the balance of credit for one’s accomplishments is foolish.”[iii] Like the humble theist, the humble naturalist can and should acknowledge her dependence on something outside of herself, substituting good fortune for God. Wielenberg may be right that there is space within a naturalistic view of the universe for an attitude of humility. Perhaps we should generally expect that there will be somewhat plausible naturalistic versions of many particular virtues if Christianity is true. This is because according to Christianity, the structure of reality reflects aspects of God’s nature. Given this, even if one seeks to remove God from the picture, as it were, there will still be latent theistic features of reality which can make sense of the virtues. However, if Christianity is true then a Christian account of the virtues will be superior to any account available to naturalists, and the virtues themselves will ultimately possess better metaphysical fit with our understanding of the rest of reality, both of which we should expect if Christian theism is true. For example, and as a way to compare naturalistic humility with theistic humility, consider the relationship between humility and gratitude. Of course the Christian can be humbly grateful to God and other people, for what he and they have done on her behalf. But the naturalist, given that dumb luck and blind chance are the ultimate causes of most of the factors contributing to his success—psychological constitution, physical health, family background, where and when he was born, and economic factors—has no good reason to be grateful for these things because there is no one to be grateful towards. Even the other human beings who have benefitted our fortunate naturalist only do so primarily and perhaps solely because of dumb luck and blind chance. On naturalism, no person, human (or, of course, divine), is ultimately responsible for anything, and so it becomes very difficult to see what reasons exist for gratitude towards persons, at least. Moreover, what it means for one to be grateful towards dumb luck or blind chance is at best quite mysterious, and at worst incoherent. Scenario 1: You are desperate to come up with the money to pay for continued treatment, and by sheer luck you find a large diamond buried in your back yard, worth enough to pay for your treatment indefinitely. Scenario 2: A wealthy benefactor gives you the money you need to pay for your treatments indefinitely. You know this benefactor because you cheated her in a business deal many years ago. Which scenario is more conducive to humility? In the first scenario you are very happy and feel very fortunate at such a stroke of luck. And of course you would have no reason to be proud of what occurred, because you would deserve none of the credit for finding the diamond or for being able to pay your medical bills. Perhaps the whole situation engenders some humility, because you realize you are receiving a great benefit that you did nothing to earn. On scenario 2 you again have no reason to be proud of being able to pay for your treatment, nor do you deserve the credit for being able to pay your bills. On this scenario, however, there are reasons to be more—and more deeply—humbled. First, not only is it the case that you did nothing to deserve the money given to you, but you actually deserve not to receive the money, given the fact that you wronged your benefactor in the past and owe her money because of your own wrongdoing. Second, the action of your benefactor is magnanimous, and simply witnessing and benefiting from the act should foster humility. Third, there is the presence of rational gratitude in scenario 2, but not in scenario 1. In scenario 1, there is no one to direct gratitude towards, because no one gets the credit for your newfound wealth. However, in the second scenario you should feel deep gratitude towards your benefactor, because of what she has done for you in spite of the debt you owe her. Gratitude seems to both deepen the humility you have and provides more reason to be humble. It will be helpful to make explicit the lessons from the above thought experiment. On theism, humans rely on a personal being who provides constant and intentional support in all aspects of our existence. In contrast to this, on naturalism we rely on mere chance and the laws of nature (or perhaps just the latter). Many of the contributing factors to individual success that are outside of our control are present because of mere good fortune. It might seem that this fact should engender humility, because we realize that we are mere recipients of good luck, so to speak. Granting this to the naturalist, the theist still has reason for a deeper appreciation of her dependence and so for a deeper humility, given her belief that we do not deserve the assistance that God gives to us. This makes the humility deeper and more profound, because while both the naturalist and the theist can accept that there are many factors that contribute to our success in life that lie outside of our control, only the theist can say that she is undeserving of this aid and deserves not to receive it because of her rebellion against God. The upshot is that while the naturalist may be able to give an account of humility, the theistic account is superior because everything that we accomplish is done with God’s active assistance. This assistance is not only undeserved, but is given even though we deserve something quite different. This in turn gives the theist a reason to be more deeply humble, even if the need and justification for this humility too often go unrecognized. Lastly, I would like to emphasize that in a universe where the majority of the credit for any human accomplishment goes to “blind chance,”[iv] it becomes more difficult to give a sound and comprehensive analysis of any virtue and its connections to human accomplishments. It is not clear to me that any sense can be made of attributing credit to chance in this way. [v] What does it actually mean to ascribe credit to blind chance? In contrast to this, we have a clear understanding of ascribing credit to God, and there are several theistic accounts of moral development that are both coherent and cogent. 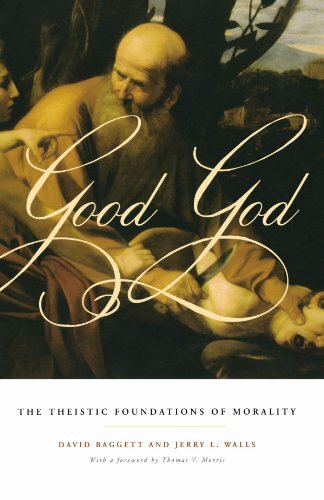 [i] Erik Wielenberg, Value and Virtue in a Godless Universe (New York: Cambridge University Press, 2005), pp. 102-116. [v] I owe this point to Doug Geivett.